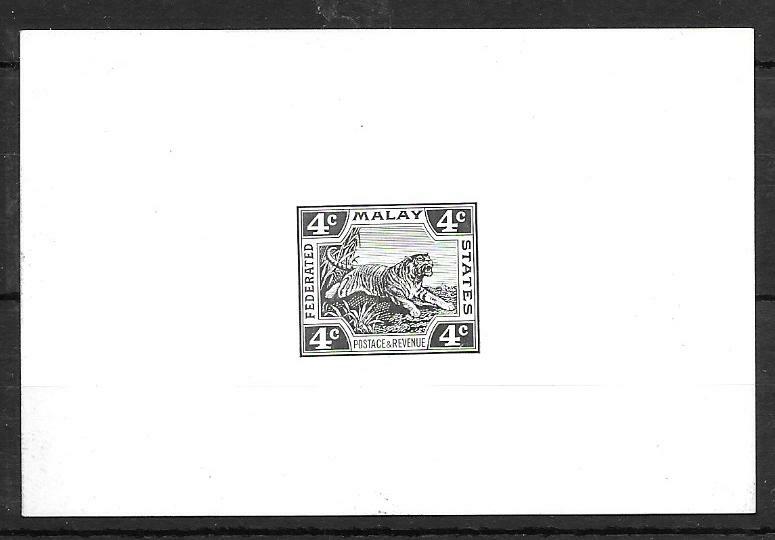 Federated Malay States 1904-22 Die II Die Proof of 4c Tiger in black on thick glazed card; fine condition. Federated Malay States: 1931 6c. 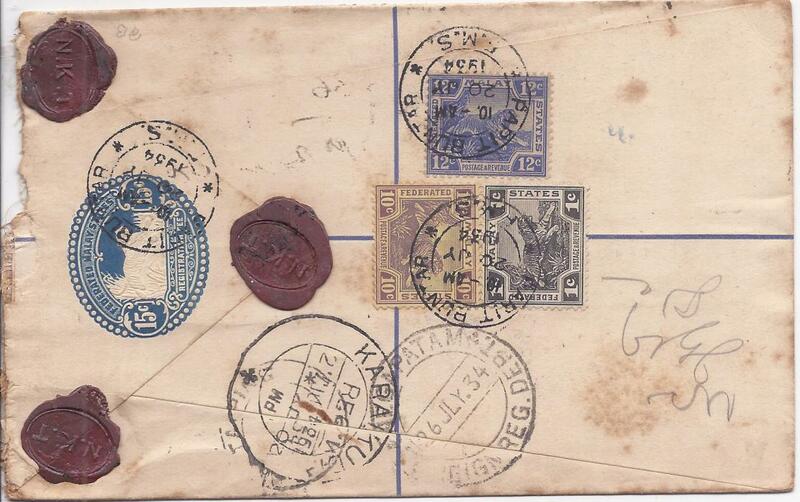 stationery envelope to England cancelled Kuala Lumpur date stamps, Singapore transit backstamp. 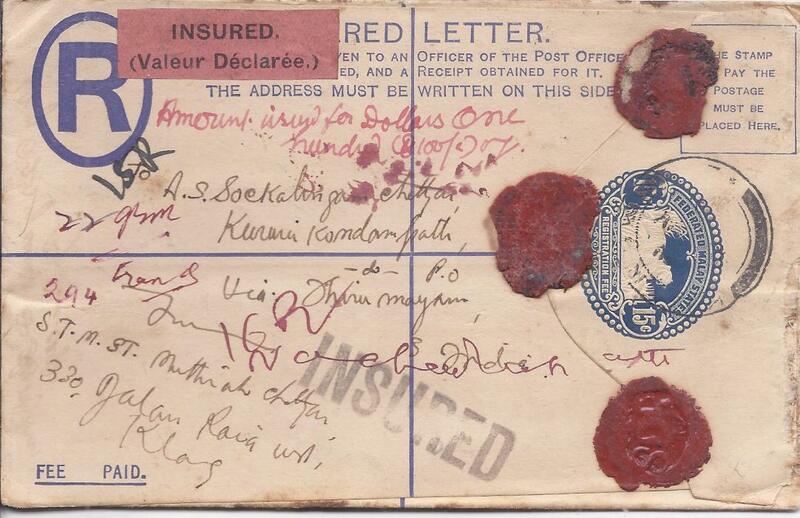 A fine example of the envelope being used as intended. 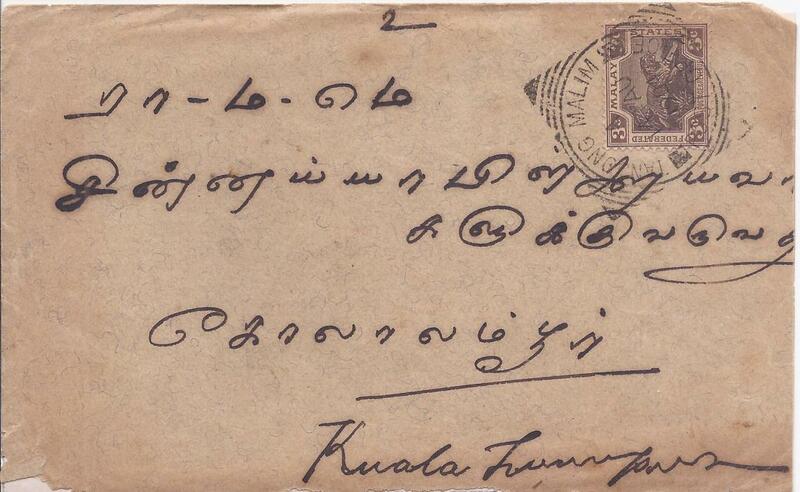 Perak: 1904 cover to Kuala Lumpur franked 3c. 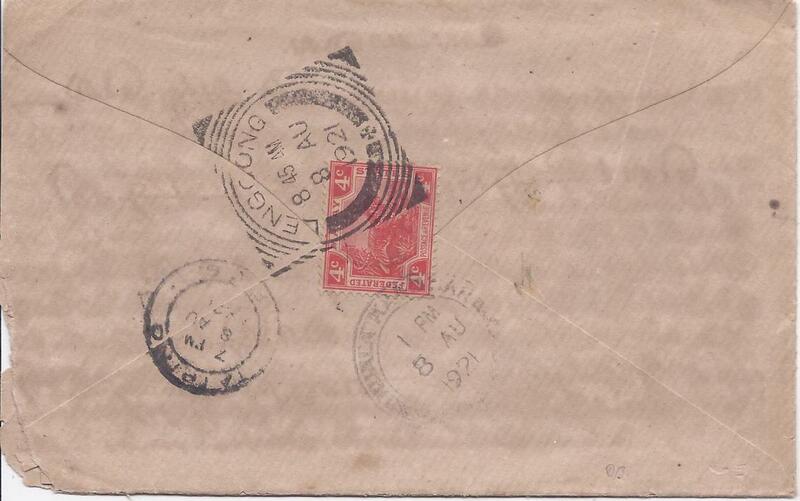 tied fine square circle Tanjong Malim Post Office date stamp, arrival backstamp; some slight faults. 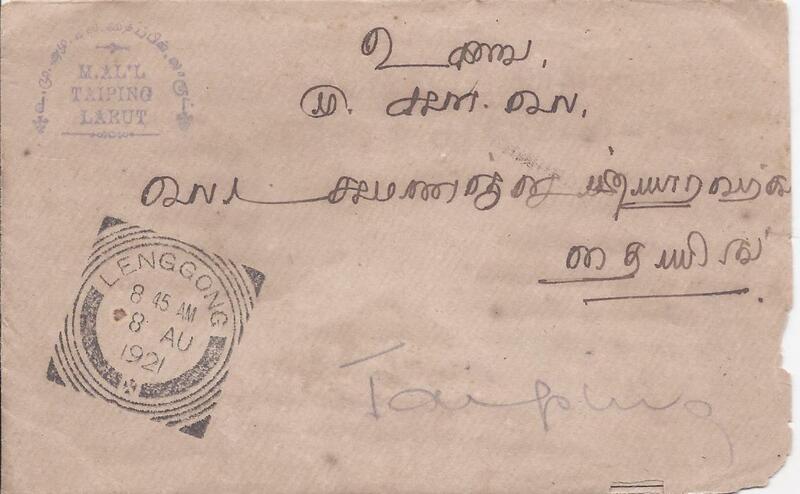 Perak: 1921 cover franked 4c. 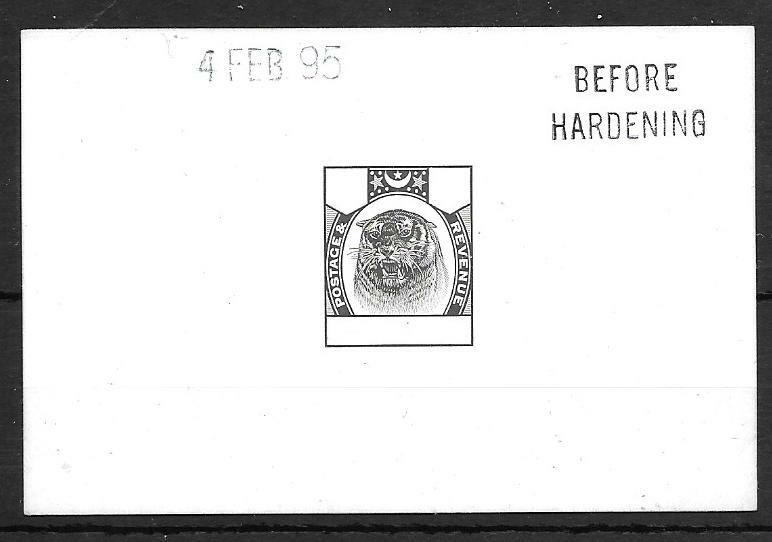 tiger tied square circle Lenggong date stamp with a further stirke on front, transit and Taiping arrival cds. 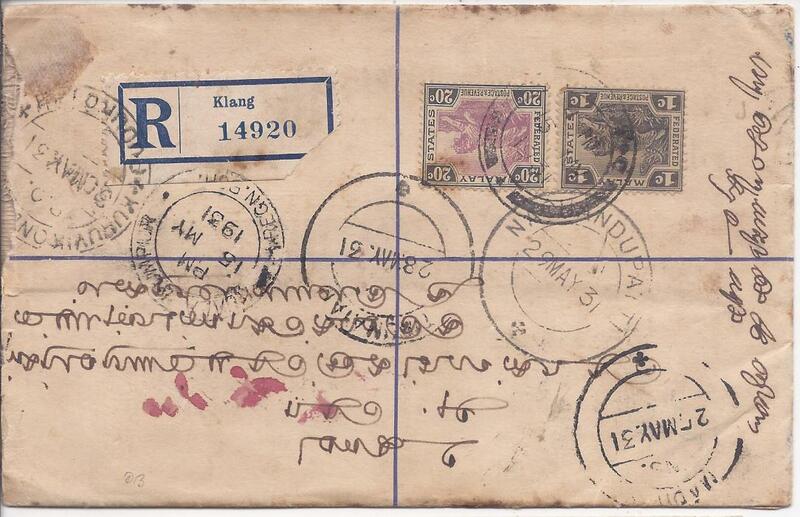 Perak: 1934 registered 15c. 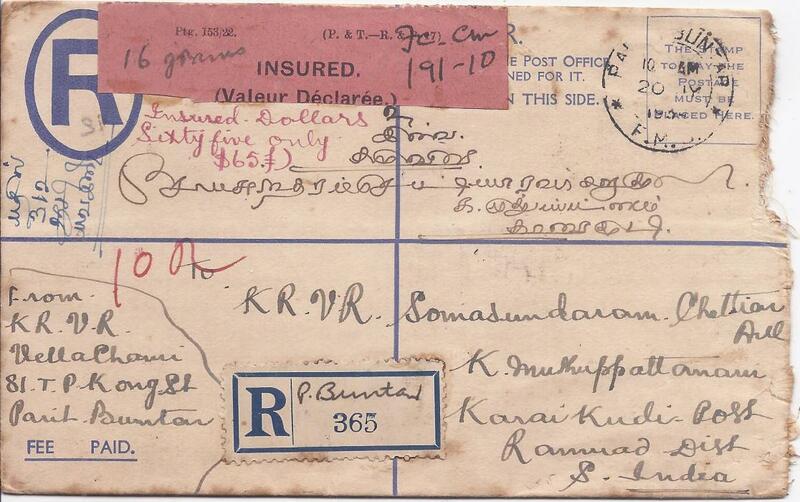 postal stationery envelope to India additionally franked 1c., 10c. and 12c. FMS tied Parit Buntar cds, front with registration handstamp with manuscript town name, Insured label with manuscript $65; some slight faults. 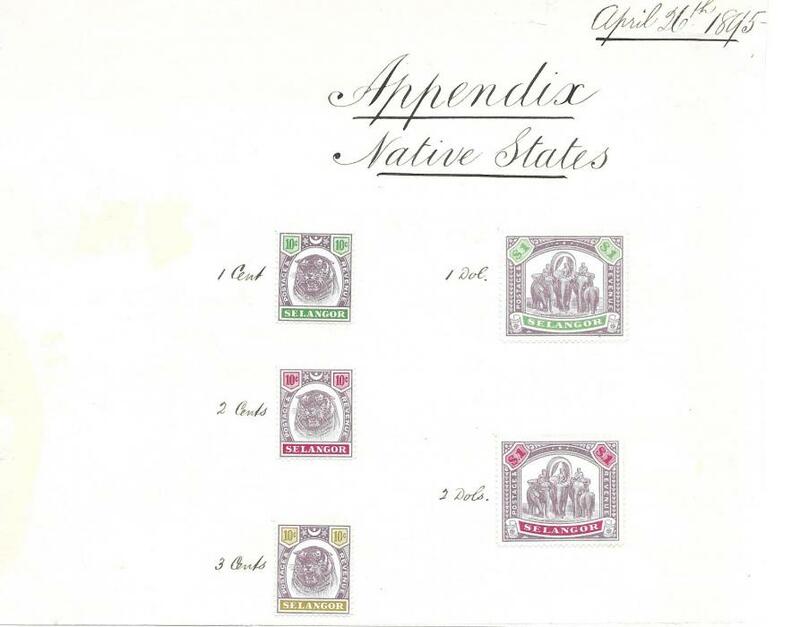 Selangor 1895 Appendix Native States perforated colour trials, each 'tiger' stamp with 10c. 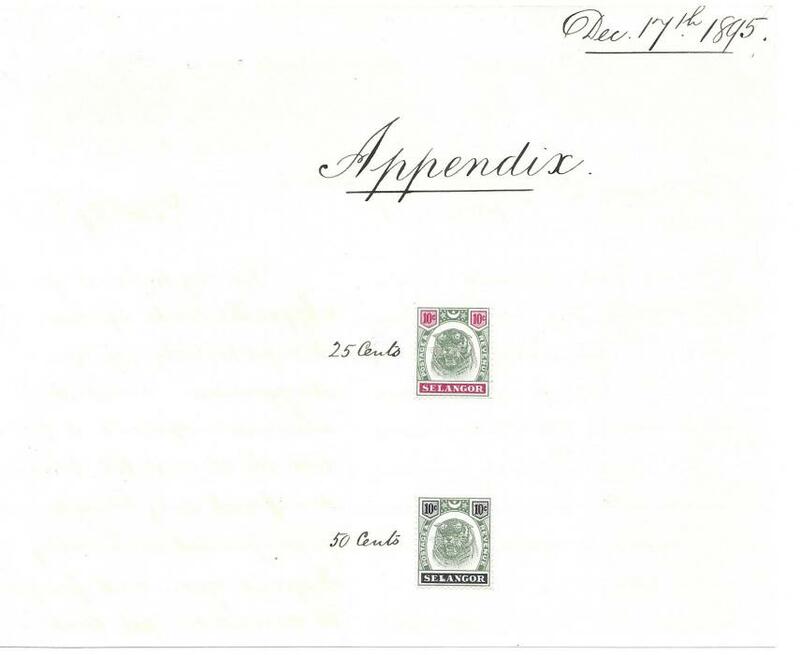 value and 'elephants' with $1, each trial has manuscript proposed value for that colour, at base "Approved for All Nation States 6 Amy 1895". A fine and important appendix sheet that has been severed for purposes of display, unique. 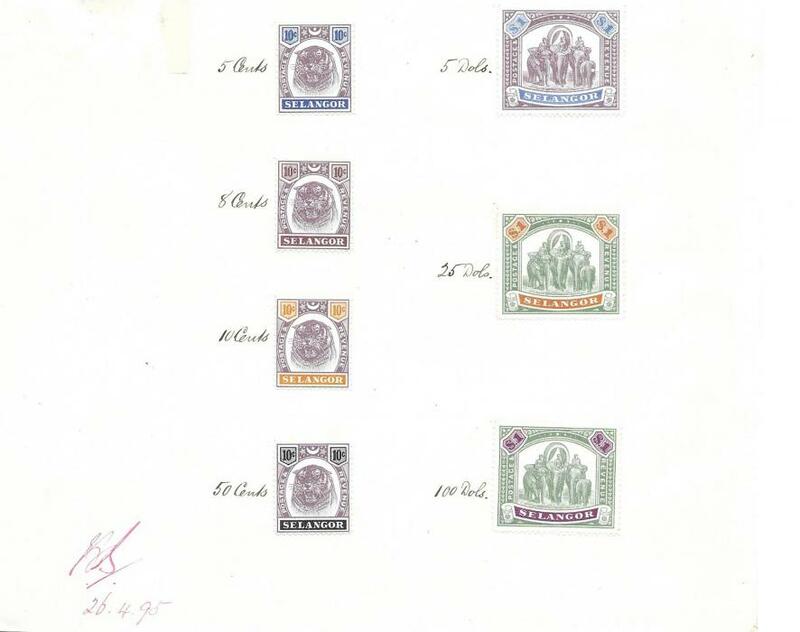 Selangor 1895 Appendix Native states sheet bearing perforated colour trials, each Tiger a 10c. value and Elephants $1 value. These colours were not approved. Appendox sheet severed for display purposes. A fine historic item. 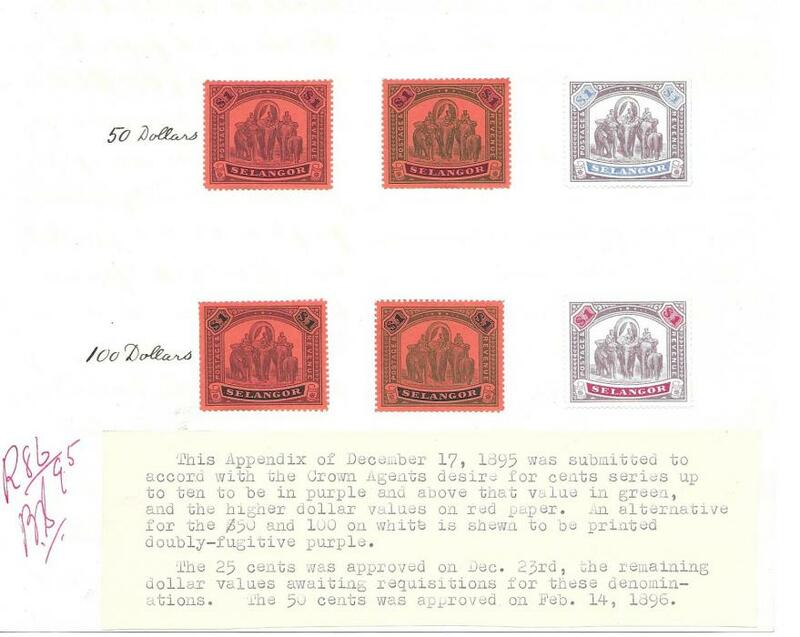 Selangor Dec 17th 1895 dated appendix sheet bearing perforated colour trials, the Tigers with 10c value and Elephants $1. With attached typed explanatory note. Sheet severed for display. A fine historic item.